The co-owner of a leading independent newspaper in Russia is considering asking the authorities to provide guns for his journalists. It follows the assassination of a Novaya Gazeta reporter by an unknown man on Monday. Aleksandr Lebedev said on Thursday that his employees at the paper need to be armed for personal security, since ‘the FSB cannot protect them’. He added that he is considering sending a letter to the Security Services asking them to provide small arms for the journalists, even though a similar request was earlier denied. The sale of guns is strictly regulated in Russia. But some people, like State Duma deputies, are allowed to carry personal weapons to protect themselves. 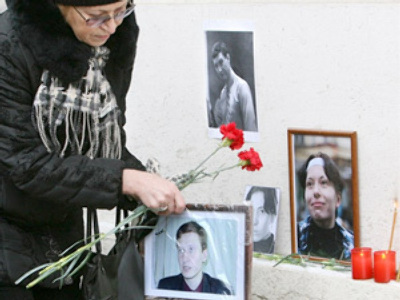 Lebedev’s comment comes after Anastasiya Baburova, a journalist who worked for Novaya Gazeta, was killed by an unknown assassin along with the prominent lawyer Stanislav Markelov. 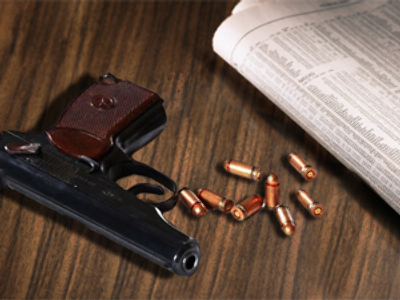 The double murder took place in a small street in central Moscow. Investigators said they had neither eyewitness to the attack nor a clear picture of the suspect. Meanwhile, a Russian tabloid has published a CCTV image from a security camera at a metro station close to the scene of the shooting. The paper claims it shows the alleged assassin after he shot the pair. The authorities have yet to comment on the publication of the photograph.